Stage concepts have been supplying Lifting Towers and Tower Winch Systems, Truss Lifts and Line Array Lift Towers to the market since 2008. We have a wealth of knowledge and expertise when it comes to the wide variety of winch stands, lifting towers and chain hoists types available, and through this experience have chosen the industry leading product ranges of Block & Block and Fenix as our go-to suppliers for their outright quality and continued innovation and product development. Lifting Towers have many applications, from the most basic use as a speaker stand that can be height adjusted, a simple hand crank operated T Bar light setup, to the more professional heavier usage in the lifting and positioning of lighting gantries and follow spots, and the lifting of large sound systems and trussing sections. There are many types of Lifting Towers available, some universal use and some designed for more specific jobs. Manual stands, Wind up stands, Rack and pinion stands, Gantry winch stands, Telescopic stands and Industrial cable winch lifts all fall under the category of towers and lifting systems, so knowing what’s right for your particular task can often be confusing. 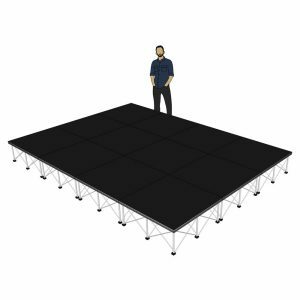 You can use Lifting Towers for raising and positioning of Trussing, Speaker systems, Line array systems, Display screens and many other applications. They are invaluable tools for the professional user and provide both time saving and safety when setting up and taking down any event. Depending on the type and its loading capacity and design, the towers can either be used simply as constructional lifting tools, or as a permanent support unit. Large Line Array speaker systems can either be raised and mounted onto a trussing setup, or they can be flown directly from the lifting tower itself if its specification allows. With the standard x shaped leg configuration, lifting towers are perfect for Line Arrays as the subwoofer units can be located between the front tower legs which puts its directly below the main Array stack. Lifting towers are an invaluable tool for all Truss and Trussing based jobs. 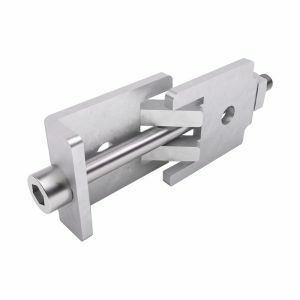 The give you the ability to perform all the wiring and clamping at a safe and comfortable ground level, then raise the fully loaded sections into position. 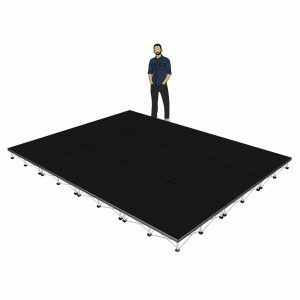 Used in pairs, or in quads, you can use lifting towers as your permanent uprights when setting up a stage or lighting rig, or they can be used to raise the trussing high enough for fixed truss uprights to be put into place then the rig lowered down and secured. The other benefit of using lifting towers as the stage uprights is the ability to set the total height in increments. 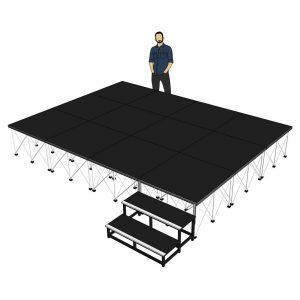 With standard fixed length truss sections being limited to set dimensions, the use of towers gives you ultimate flexibility to alter the total rig height, which is especially useful for indoor setups where ceiling heights differ. Using a manual winch lifting tower is the perfect answer for communication purposes, as they are easy to transport, require no maintenance and offer incredible stability and weather resistance. The modular design of the top sections allow all manner of mounting plates and support frames to be quickly attached, and cabling can be routed external or internally to the extended tower. With the majority of portable signal towers being heavy duty units with generators, it puts them out of reach for many consumers as the expense and physical size is very industrial. Telescopic masts are generally electric or hydraulic, requiring suitable power sources just to extend the mast itself. Using a reliable mechanical hand crank system simplifies everything and gives you the reassurance that you will always be able to extend the tower in all locations and situations. 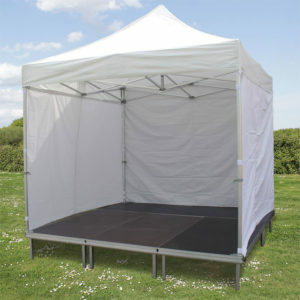 Perfect for use at camping grounds, festivals, summer shows, remote locations, and for emergency communication uses in low coverage areas, a lifting tower can simply be folded down and put into most cars or vans, compared to the much larger broadcast type self powered systems which would require towing or a lorry to transport. With transmission and reception equipment for Radio and Wi-Fi, and for GSM 3G and 4G becoming increasingly smaller in size and less power hungry, it is now possible to run these systems from battery power rather than requiring a generator, so for emergency use or even just signal boosting in rural areas its now possible to have a truly portable system at affordable cost. The rigid structure and height capabilities of lifting towers also makes them ideal for use as portable floodlighting masts and for CCTV as lighting fixtures and cameras are easily attached to the towers head section. Emergency lighting for accidents, temporary lighting for events, car parks, building sites, gatherings and sporting events, all with the freedom of being non fixed position and easily removed or relocated. Modern hi powered LED lighting is perfectly suited for tower fitment as its weather sealed, lightweight and low power consumption lends itself well to outdoor and especially emergency use where access to power is restricted. The portable versatility of lifting towers means its possible to have high level security or CCTV at events that normally have to rely on only having ground level personnel, so music festivals, large family events such as car shows and town shows, local sporting and club meets can all have the benefit of a recorded history of events should crime or accidents occur. Its inclusion gives people a visual peace of mind and also acts as a strong deterrent. Though the selection of lifts on offer is fairly large, it is also comprehensive with weight loading and maximum lifting heights being the main point of consideration. Footing designs also vary with intended usage, with larger constant use units having the wider outrigging system rather than just standard fold down legs. This is necessary if you’re using the towers as stay in place uprights rather than just as a construction aid, as it gives them the wider load spreading at ground level to keep everything balanced and stressed correctly. ​It depends ! Intended usage is the prime decider for which type will be best suited for you. 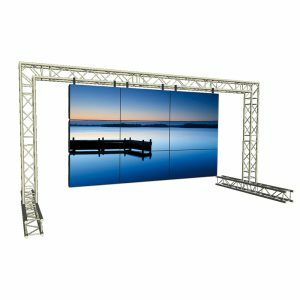 If you’re only using it to put together a small exhibition booth or demo stand then you will likely only be lifting singular pieces of truss at a time, or a few effects lights, so a fairly lightweight winch with 3 to 4 metre lift height will be more than adequate. For the professional user wishing to safely lift roof sections, line array speakers, gantries and large truss pieces, the towers are significantly heavier duty, with larger weight capacity and extended lifting heights up to a massive 8 metres. Are the lift towers maintenance free? All the professional lifting tower units we supply are made from either T6 grade aluminium or galvanised steel frames, with Polyamide resin cast pulley plates, steel safety plates and pins, and multi-stranded galvanised steel cable. They are weatherproof and extremely hardwearing. Other than general good mechanical practice of the occasional grease to the gearing they are free from any maintenance. Are the lift towers winches rack and pinion or cable operated? 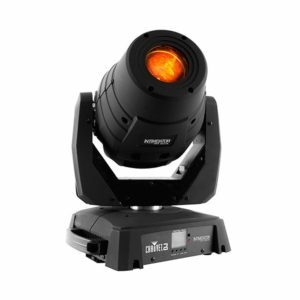 Generally, you will only find traditional ratchet or rack and pinion drives on lower priced, lower rated stand lifts that are designed for the mobile Dj market. They just aren’t suitable for heavy duty use or heavy load lifting as the load stress is all on the toothed gearing and will eventually cause slipping or gear failure. Professional level tower winches use galvanised steel cable on a hardened steel plate drum for smooth and effortless use under load, and are rated to far exceed their maximum to ensure long life. What is the footprint span? All lifting towers will have a folded size given, and then the open size, which is generally given as their required ‘workspace’. This required area will differ depending on the type of tower, but as a good reference size, the average professional 6 meter height tower has a base workspace of 2,5m x 2,5m. Absolutely. We only supply professional level winches and equipment. 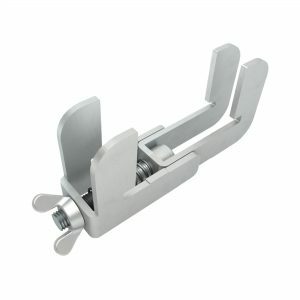 Cable type winch lifts feature anti load drop pins, anti-tilt locks, wide cross arm legs, wall or truss structure fixing points, and feature reverse lock cable drums which ensure if the cable was to break, the lifted load will stay exactly where it was. 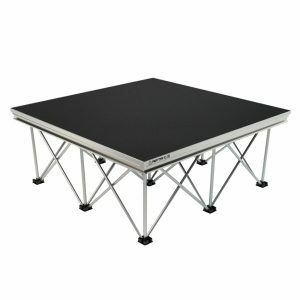 The wide footings and front lean supports ensure you have constant firm ground contact in equal directions for load spreading and stability with the tower at full extension. Are the lifting towers officially rated for safety? All the lifting towers we supply are certified to meet and surpass the highest safety requirements of the Dekra inspections testing for industrial equipment. What are the safe working loads? Tower load ratings are usually clearly stated, and often are included in the model number for easy identification. The average recommended maximum loading is generally between 200kg and 300kg. The larger winch units from Fenix have ratings up to 500kg. All units are safety rated to 2 or 3 times the stated maximum load bearing capability, so the Fenix unit mentioned has an actual winch rating of 1700kg, and cable rating of an enormous 2000kg, so are barely being stressed at the units 500kg load rating. These figures may seem extreme, but the over rating of the components ensures long life and stable operation.